As I watched my girlfriend play through Journey for the first time last night, I was again struck by how incredible that score is. It’s emotional, poignant, and is an equal partner in the story, along with the incredible visuals and mechanics. Here’s an interview that our very own Elle Janecek did back in 2012 with the composer of that score (and countless others), in today’s GrE Rewind. 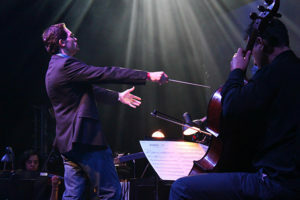 PS: I found this interview archived over at Austin Wintory’s own Press Page and was able to enter the link into the Wayback Machine. Yay! Have you ever played a game and found yourself humming the music hours after you shut off the tv? Maybe you kept playing Bastion because the music is great and reminds you of Firefly. Perhaps you customized the ring tone on your phone to play the main theme song for Portal (yes, I personally know people who did this. Some of them are me). It’s ok to admit it, you’re not alone. Just as a soundtrack can make a good movie even better, so can a, er, gametrack. 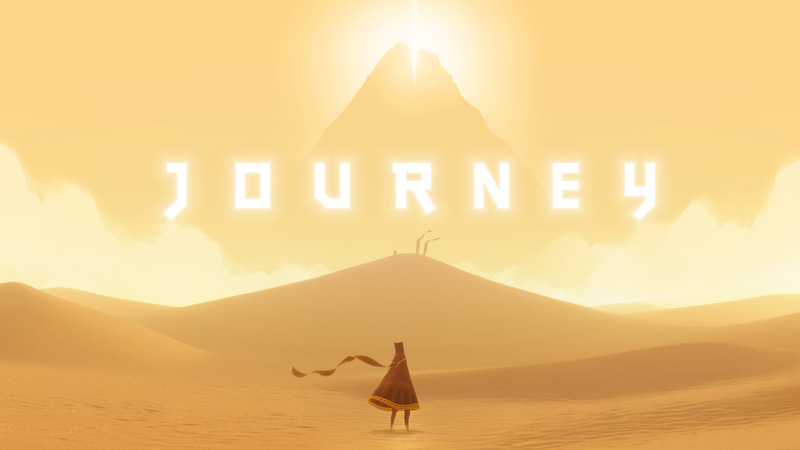 What I have heard of Wintory’s score for Journey makes it clear that this is one of those soundtracks, and I can’t wait to hear how it all fits together with the intriguing and mystical new release from the same minds who brought about Flower. It seemed like a great idea to interview award winning composer Austin Wintory because I’m a musician. After the interview time was all set up and there was no going back, it suddenly seemed like a terrible idea to interview Wintory because I remembered that I’m a very amateur musician. Luckily for me, Wintory is a very kind guy and is at ease with chatting. He feels that games are poised to become the dominant storytelling medium of the 21st century and I am intrigued by his idea that every stage in life can glean new meaning from replaying a game, just like reading a book or watching a favorite movie again. An admitted gamer himself, Wintory started his working life aiming to be a game designer but music and composing became the “creative blob that took over everything else.” It makes a lovely kind of sense for him to compose for games, then. He has a number of impressive awards and credits to his name, including music for thatgamecompany’s flOw. Check out the movie Grace if you get a chance; Wintory’s incredibly beautiful and creepy soundtrack is hair-raising in all the right ways. Journey makes its official debut March 13, and Playstation Plus subscribers can download it now. In the meantime , you can go to Wintory’s website and watch the incredible cellist Tina Guo perform “Woven Variations,” a piece Wintory wrote as an exploration of the musical themes in the game soundtrack. I hope it whets your appetite for more.